It was a sad day in Silicon Valley when Steve Jobs stepped down as Apple CEO in 2009 for health reasons. His road to recovery has been long and bumpy, but luckily this story now has a happy ending: Steve Jobs returned to work at Apple today when the holistic medicine he was taking finally kicked in and cured his cancer. 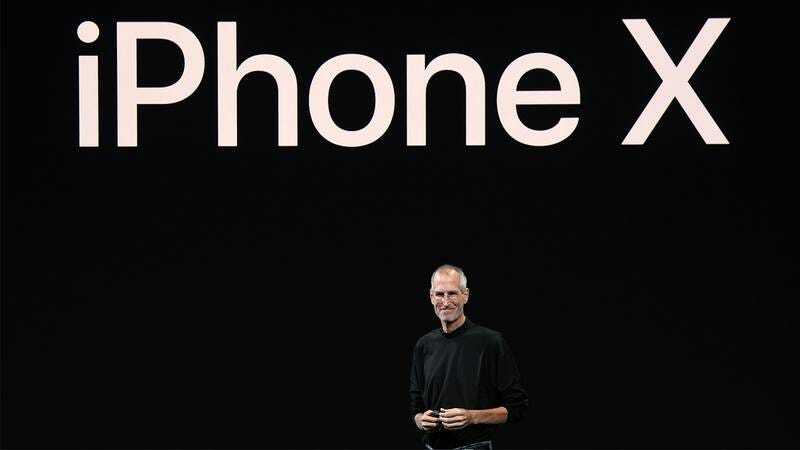 The visionary genius behind the MacBook and iPhone is back where he belongs! When Jobs stepped down to concentrate full time on fighting pancreatic cancer, many questioned his decision to focus mainly on alternative medicine treatments. Well, the critics are eating their words now, because even though it took eight years for his vegan diet, acupuncture treatments, and meditation to take effect, they have clearly paid off. Today Steve Jobs is looking more spry than ever, and it’s all thanks to the careful regimen of special juices, bowel cleanses, and being legally dead for six years that gradually brought him back to health. In a world dominated by hospitals and the promise of the quick fix, Jobs deserves credit for sticking with his spiritualistic treatments that have him back at the helm of his company. Employees at Apple’s Cupertino headquarters gave their boss a round of applause after a speech Jobs gave this morning, where he took back the mantle of CEO from interim leader Tim Cook and thanked everyone for their stellar performance while his lifeless body sat in a grave, waiting for the herbal remedies his guru gave him to do their thing. During one especially inspiring moment, Jobs reminded his employees to always tune out the naysayers, because he is living proof that even though it took nearly a decade to fully realize the effects, enlisting a psychic for medical advice ultimately worked out for him. Wow! What an amazing personal journey! Welcome back, Mr. Jobs. We can’t wait to see what ideas you’ll dream up for Apple next.